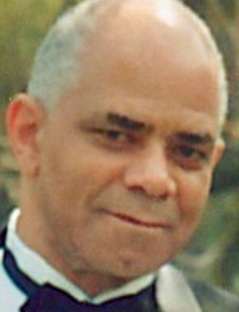 Ronald D. Wilson Sr., 85, of Durham, North Carolina passed away Thursday, Jan. 10, at Duke University Hospital after an extended illness. Ronald Wilson Sr., 85, passed away on Jan. 10. His funeral will be on Jan. 26. Ronald was born in Norwalk to Lelia Travers and George Wilson Sr. He graduated from Norwalk High School and joined the U.S. Navy. He married Elmira Darden in 1954 and their loving marriage bore eight children. Ronald was an industrious employee at several companies most notably UPS and the U.S. Postal Service in Darien. Ronald was baptized as one of Jehovah’s Witnesses and served faithfully for 55 years in two congregations. He was a cheerful man where no one was a stranger, only a friend he hadn’t met yet. Along with his wife of 64 years, he is survived by his children: Ronald (Deloris), Wayne (Dorthea), Dennis, Scott (Barbara), Brian, Nancy, Marjorie, Laurence (Tiffany); his sisters: Joyce Wilson, Loraine Monk Wilson, Joan Garland and Doris Brevard; his 23 grandchildren and ten great grandchildren, along with numerous nieces and nephews. Ronald is predeceased by his parents, his siblings Virginia Skeeter, George Wilson, Jr. and George Travers as well has his granddaughter Talya Pierce. Memorial Services will be held Jan. 26, 2019 at the Kingdom Hall of Jehovah’s Witnesses, 635 Bon Air Ave., Durham, North Carolina 27704. Interment is private. The family requests that donations be made in Ronald’s memory to the Watchtower Bible and Track Society of New York or a favorite charity of your choice.